Image Hunter Updates – Our First Off-the-Shelf DEM is Live! Updated the stereo-mono radial filter in the satellite selector to add in DEM. Fixed a small SPOT 6/7 bug in the image information modal and satellite selector. 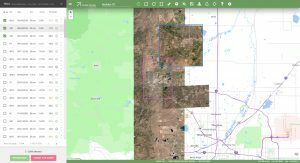 This entry was posted in The Geospatial Times and tagged Image Hunter, product updates, The Geospatial Times by Apollo Mapping. Bookmark the permalink.